Treatment selection is largely dependent on the goals of therapy; however, sequencing of standard therapies with newly approved therapies as patients’ progress is a key factor in improving quality of care. The recent approval of new agents and advances in biomarker detection have supported the individualization of treatment and subsequent improvements in survival for patients with gastrointestinal cancers. As new agents are expected to enter the treatment paradigm in 2017, clinicians will require guidance on how to best integrate these agents and navigate reimbursement and quality requirements of new payment models. Important practice-changing studies reported at ASCO 2017 will also be addressed, with a focus on metastatic colon cancer, unresectable hepatocellular cancer, and gastric/pancreatic cancer. Al B. Benson III, MD, FACP, FASCO is a Professor of Medicine in the Division of Hematology/Oncology at Northwestern University’s Feinberg School of Medicine in Chicago, IL. He is also Associate Director of Cooperative Groups at the Robert H. Lurie Comprehensive Cancer Center, a National Cancer Institute-designated Comprehensive Cancer Center, at Northwestern University. He is an Attending Physician at Northwestern Memorial Hospital, a Staff Physician at Jesse Brown VA Medical Center, and a Consultant to the Rehabilitation Institute of Chicago. Dr. Benson earned his medical degree at the State University of New York at Buffalo, then completed an internal medicine residency at the University of Wisconsin Hospitals in Madison, WI. He was an Assistant Professor of Medicine at the University of Illinois and Co-medical Director for the National Public Health Service in Champaign, IL. He then served as a Clinical Oncology and Research Fellow at the University of Wisconsin Clinical Cancer Center, where he received an American Cancer Society Fellowship Award. Dr. Benson is active on numerous professional committees, often serving as an officer. He is a recipient of the American Society of Clinical Oncology (ASCO) Statesman Award (Fellow of ASCO) and has served on a number of committees. Dr. Benson is on the editorial board of the ASCO Connection, Journal of the National Comprehensive Cancer Network, American Health and Drug Benefits, Personalized Medicine in Oncology, Journal of Comparative Effectiveness Research, and Gastrointestinal Cancer Research among others. His most recent national awards include the NCCN Rodger J. Winn award and the ACCC Outstanding Achievement in Clinical Research Award. 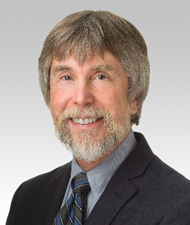 Dr. Benson’s research is primarily in the areas of gastrointestinal cancer clinical trials, cancer clinical trials, biologic therapies, phase I cancer clinical trials and cancer guideline development. He has authored or coauthored numerous reports, reviews and book chapters focusing on these topics. His research in biologics, cancer therapy, and cancer prevention has been awarded funding from a variety of sources including the NIH. The maximum number of hours awarded for this Continuing Nursing Education activity is 1.2 contact hours. Designated for 0.9 contact hours of pharmacotherapy credit for Advance Practice Registered Nurses.